The world’s deadliest listeria outbreak is over‚ health minister, Aaron Motsoaledi, announced on Sept 3rd. There have been no new cases of the ST6 strain of listeria since June. The outbreak led to 216 deaths in SA. The vast majority were caused by the ST6 strain of listeria‚ which was found in Tiger Brands Polokwane’s processed meat factory. “Nobody‚ whether in government or in the private sector‚ can say how it up ended in the factory,” Motsoaledi told a press conference in Johannesburg. “Tiger Brands has done every inspection and nobody has pinpointed how this listeria got in the [factory] this way‚” he said. Every factory in SA that makes processed meat‚ a total of 157‚ has been inspected by WHO health inspectors and environmental health inspectors. Samples of food and samples taken from factory machines and surfaces were tested. 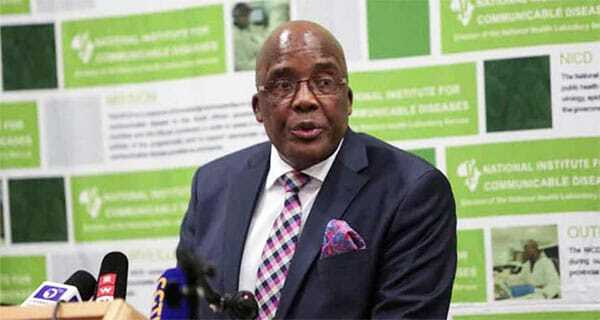 Motsoaledi said to prevent another outbreak of listeria‚ food safety laws had been updated and 900 health inspectors had been re-trained in taking samples from food factories. The overall response to listeria and the testing of every factory had cost R12m‚ said health director-general Precious Matsoso. Major retailers and small businesses alike have said their polony sales had taken a huge knock since the outbreak. On 5 December 2017 we announced that South Africa was hit by the outbreak of listeriosis. A joint Public health emergency Co-ordinating committee was established including NDoH, DAFF, DTi, NCC, NRCS, DEA, SALGA and DMs to co-ordinate investigations and response. On the 3rd March 2018, the National Institute for Communicable Disease (NICD), working together with partners present here today, confirmed that source of the Listeria outbreak strain (Lm ST-6) was a ready-to-eat (RTE) processed meat plant owned by Tiger Brands (the Enterprise Foods® Polokwane production facility). We also identified Listeria at a RCL-owned facility (Rainbow Foods). On 4 March 2018, we instructed that all ready-to-eat processed meat products produced at these facilities be recalled immediately. Subsequent to this recall, 05 April 2018, the World Health Organisation (WHO) increased its technical support to South Africa to enable the country to contain the outbreak and to strengthen health systems to prevent future outbreaks. This increased technical support provided by WHO is in line with International Health Regulations (IHR 2005) and the implementation of the recommendations of the Joint External Evaluation (JEE). The Ministry of Health would like to acknowledge, on behalf of the country and government of South Africa the support of all who contributed time, energy and effort towards the activities described in this report.